Looking for lower up-front marketing spend and an overall lower cost per acquisition for customers? Download our free eBook to see how you can use your data for more effective and profitable customer acquisition. 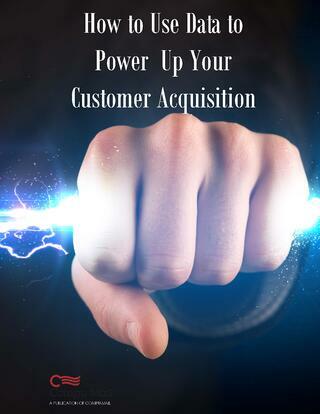 The eBook will leave you with actionable tips to power up your customer acquisition efforts using a data analysis technique called Look-A-Like modeling. While most marketers know that it takes 7-15x more effort and spend to acquire a new customer than cultivate and grow an existing one, acquisition continues to be their primary objective. Let’s focus on how to maximize those efforts to make them as effective as possible. The answer is within your current POS data, derived from a process called “Look-a-Like” modeling. Your database contains everything you need to know about your customers, both good and bad. If you can define who your “best” customers are, and find the unique attributes that separate them from your “worst” customers, Look-a-Like modeling can help you narrow your acquisition focus by locating and attracting more profitable customers with a smaller, more targeted net that filters out irrelevant or uninterested prospects. The result can be lower up-front marketing spend and an overall lower cost per acquisition for customers that will be more profitable.